I awoke early this morning and knowing the ground would be frosty and the sun low, I headed into the garden to take some photographs (more of that tomorrow). 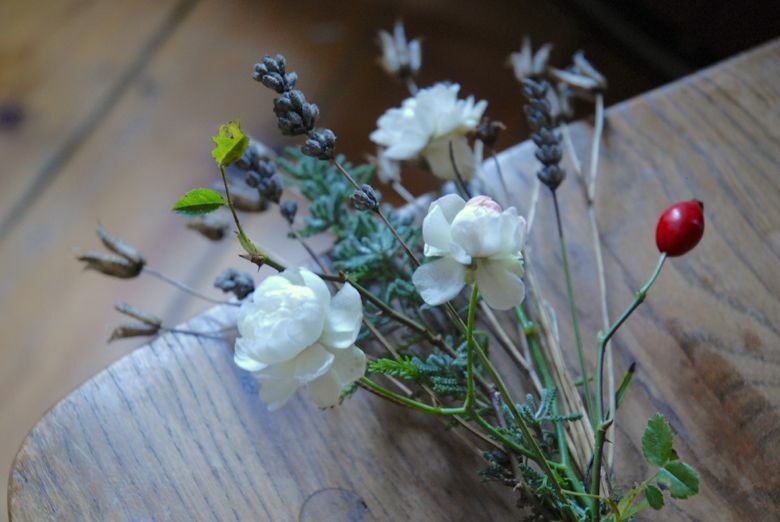 While there I gathered some cuttings... lavender stems, seed heads, a solitary rose hip and a couple of shrub roses. 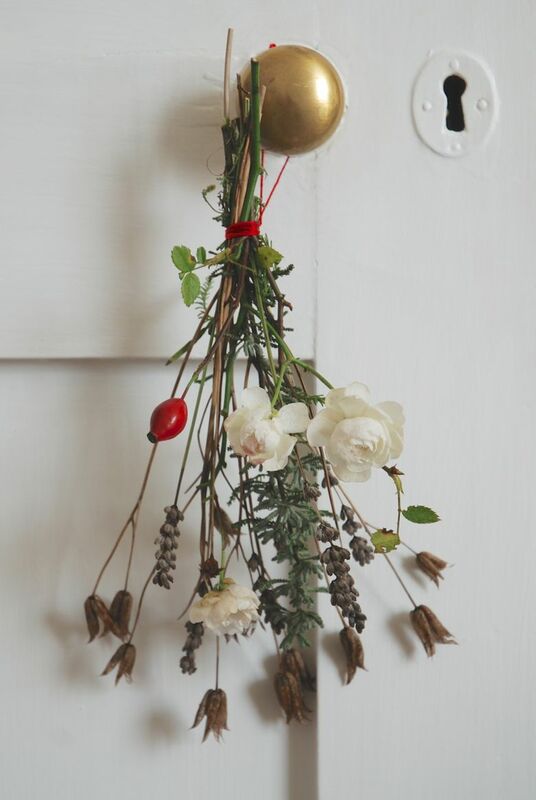 Back in the warmth of the kitchen, I arranged my cuttings into a simple posy and tied the stems with red thread. 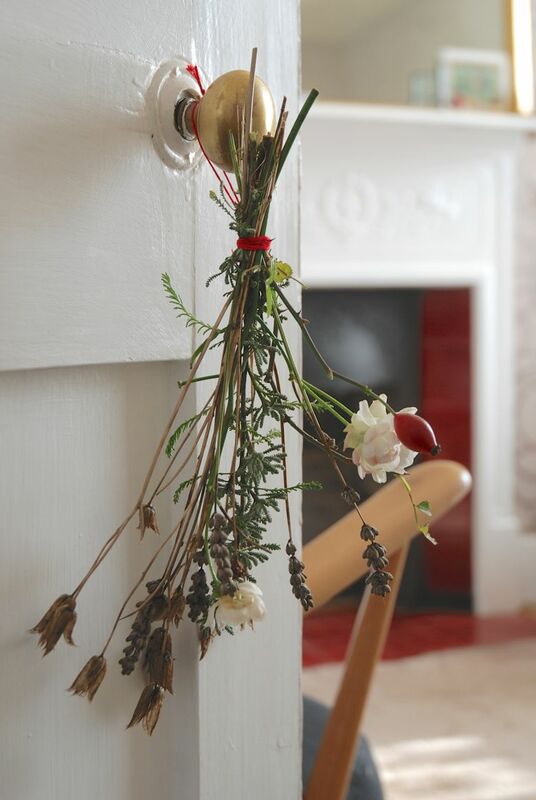 I've displayed the posy over the handle of our living room door, where the soft winter colours contrast against the white. The scent from the lavender is heavenly and I love the simplicity of the result. 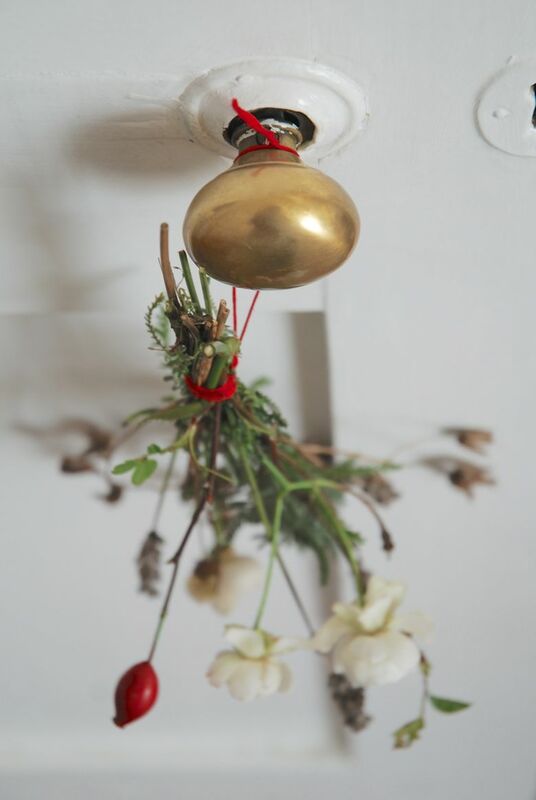 Joining in with Lou's 'nature in the home'. Simple and effective and from the garden. Score!